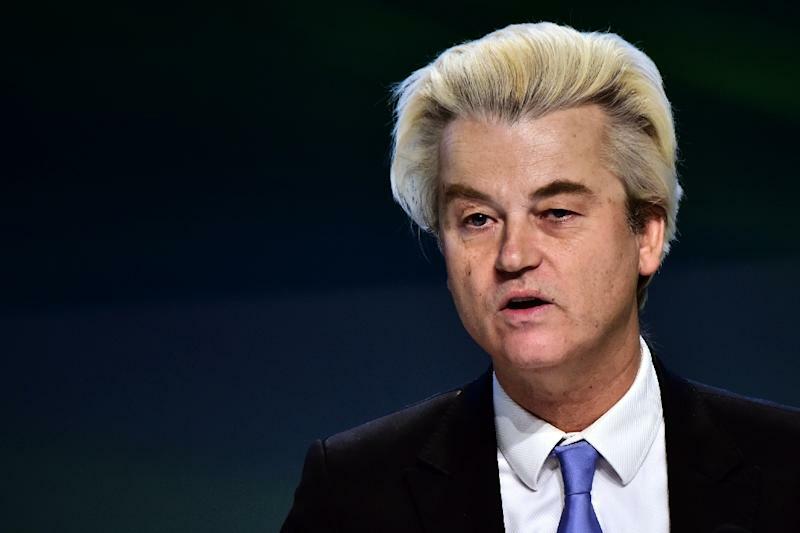 The Hague (AFP) - The party of populist anti-Islam Dutch MP Geert Wilders has risen strongly in the polls since the lawmaker was tried and convicted of discrimination, according to a survey published Sunday. If legislative elections due next March were held this week, Wilders' Freedom Party (PVV) would pick up 36 out of 150 seats in the lower house of parliament, making it the biggest single political group, it found. Before the trial began on October 31, the PVV was credited with 27 seats. During the trial, but before his conviction on Friday, its estimated share rose to 34 seats. It currently has 12 lawmakers. The new poll data comes from a weekly monitoring by the Maurice de Hond Institute. It found that Prime Minister Mark Rutte's Liberals would place second with 23 seats, against 40 today, and his junior coalition partners, the Labour Party (PvdA), would gain 10 seats, compared with 35 today. Wilders was found guilty of discrimination against Moroccans but acquitted of hate speech over remarks he made at an election rally in March 2014. He had asked supporters whether they wanted "fewer or more Moroccans in your city and in the Netherlands." When the crowd shouted back "Fewer! Fewer!" a smiling Wilders answered: "We're going to organise that." Wilders, 53, largely boycotted the trial, which he denounced as a political attempt to gag him. The judges were strongly critical of Wilders' "inflammatory" remarks at the rally but decided not to impose any sentence or fine. The outcome of the Dutch vote will be keenly watched given the anti-EU outcome of Britain's Brexit referendum and the November election of populist Donald Trump as the next US president. Wilders has among other things vowed to confiscate Korans, close mosques and Islamic schools, shut the borders and ban migrants from Islamic countries.